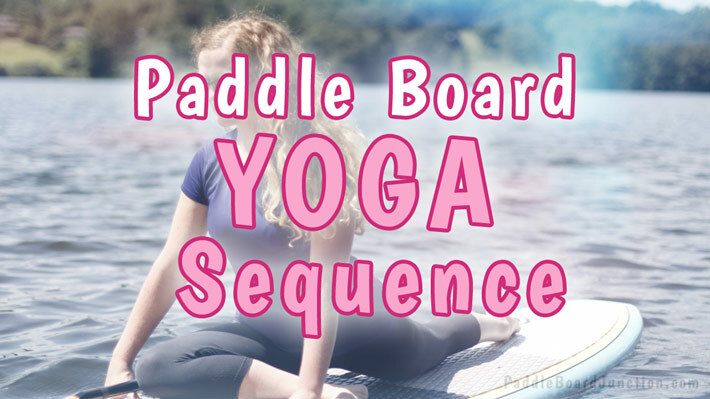 One of the many activities to do on a paddle board is yoga! Yoga is a fun and relaxing way to unwind and strengthen your body. Doing yoga out on the water can help you practice your asanas, which are defined as any yogic poses, movements, or postures. You can practice yoga with an SUP class or by yourself, as long as you know what you’re doing! 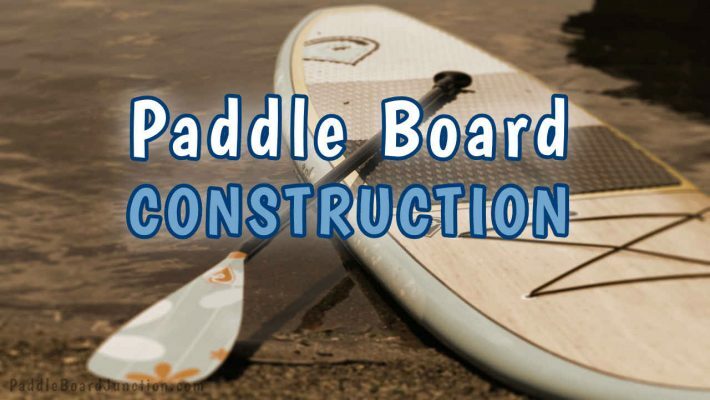 First we’ll start with the basics for SUP yoga, then we’ll go into a great paddle boarding yoga sequence. 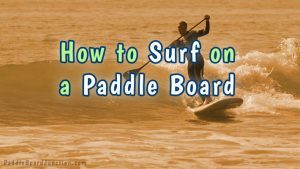 Let’s start with the basic know-how’s of SUP yoga. The most intrinsic part of yoga is keeping good balance, whether you’re on a paddle board in a lake or a yoga mat in the gym. You definitely should know that breathing is key to the ultimate yoga experience. Focusing on deep breaths not only increases your mindfulness and breathing skills, but also forces you to keep your mind off of falling down or falling off the board. 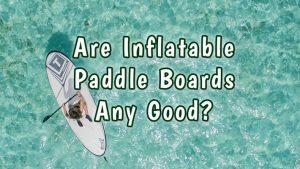 The rather refreshing thing about yoga SUP is that the consequences of losing control on your body is a light splash in the water, rather than falling on the hard ground! 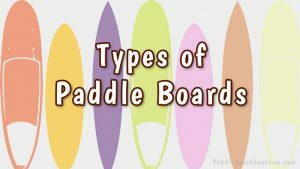 Most paddle boards suitable for yoga are flatwater SUP’s. They have good balance and structural support in calm waters such as lakes and ponds. A good type of SUP brand specifically for practicing yoga is the BOGA SUP brand, which you can check out at their website. Lay down on your board, relax your shoulders. Spread your arms out next to you, with with hands resting on the water. Do the same with your legs and feet. Recognize the water beneath you, take deep breaths, and stay here for a couple minutes. Form the Savasana, lift yourself up to a tall, seated position. Bring your palms together as if you were praying. Take three deep breaths in this position. Reach both hands overhead, then release your right hand down to the rail of your board. Inhale to grow long through your left hand, then exhale to stretch your left arm up and over towards the right. Engage your core to stabilize, and remain in this position for three breaths. Repeat on the other side. Lock your fingers together behind your back, and inhale to roll the shoulders open and draw your shoulder blades down your back. Exhale, gaze, and lift your chest up. Find three full-rounded breaths and release. Last but not least, draw your arms up to shoulder height in a T position, and bring the right arm under the left, interlacing at elbows, wrists, and palms to touch. Make sure it is comfortable. Take three deep breaths. Release the arms and repeat on the opposite side. 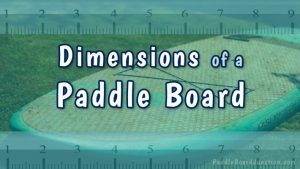 You can find more on-land yoga sequences and poses all over the web and simply apply them to your paddle board yoga sequences as long as they involve not too much side to side movement! Doing normal yoga can be confusing and challenging for beginners, especially if you are in the middle of a lake doing it. Don’t worry, though, with these descriptive poses and videos, you’ll be a yoga master in no time!